President-elect names Reince Priebus as White House chief of staff. Campaign manager Steve Bannon will be chief strategist. 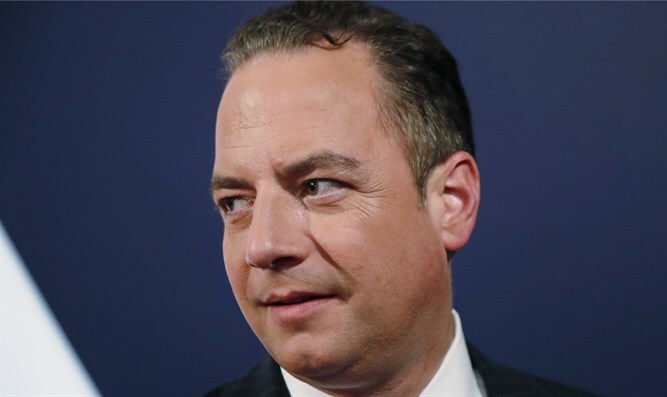 U.S. President-elect Donald Trump has named Reince Priebus, chairman of the Republican National Committee (RNC), as his White House chief of staff, NBC News reported Sunday. Priebus, who is serving his third term with the RNC, was reported to be at the top of Trump's shortlist for the key White House position. That list also included Steve Bannon, Trump's campaign CEO. Bannon will serve as chief strategist and senior counselor, according to a news release that mentioned his name before that of Priebus. “Bannon and Priebus will continue the effective leadership team they formed during the campaign, working as equal partners to transform the federal government, making it much more efficient, effective and productive,” the statement quoted by The New York Post said. “Steve and Reince are highly qualified leaders who worked well together on our campaign and led us to a historic victory. Now I will have them both with me in the White House as we work to make America great again,” he added. Priebus remained neutral during the combative GOP primaries but embraced Trump when he emerged the victor, and in particular stood behind him after the leaked recording of Trump making lewd comments about women. Meanwhile, NBC News reported that Trump is considering retired Army Lt. Gen. Michael Flynn, who served as his military advisor, as his national security advisor or secretary of defense. Flynn at one point was considered by Trump to be his running mate, before he ultimately chose Mike Pence.